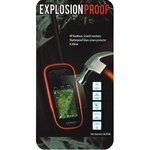 Explosion Proof Screen Protector for Garmin Alpha. $19.99. Experienced Alpha users might notice that the screen responds slower with the screen protector installed. It does not interfere with usability in any way, and everything will function fully, but some long-time Alpha users may notice this slight change. 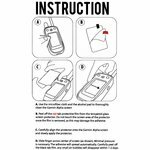 If you need to raise and lower stimulation levels quickly on your Alpha, you might not like this screen guard. Simple application. I wish I would have purchased this when I purchased my Alpha. Good protection for the screen. Did seem to affect the responsiveness just a tad. Didn't always read finger pressure as fast as without, but that isn't exactly unexpected. Screen protection worth the trouble. Did not affect field operation, just need to be aware. It works ok, but it lifts up off of the screen in some places and has to be pushed back down. Got this to keep from scratching my screen on the alpha. It seems to be doing that so far. It needs to fit a little closer to the edge. It has started to build up dirt between the screen and protector edges. The protective screen makes using the touch screen difficult. I can barely scroll with my finger anymore. It needs to be a little thinner and more touch screen compatible. Took extreme care in cleaning and still got particals under the glass. Tried several attempts to clean. Finally gave up. 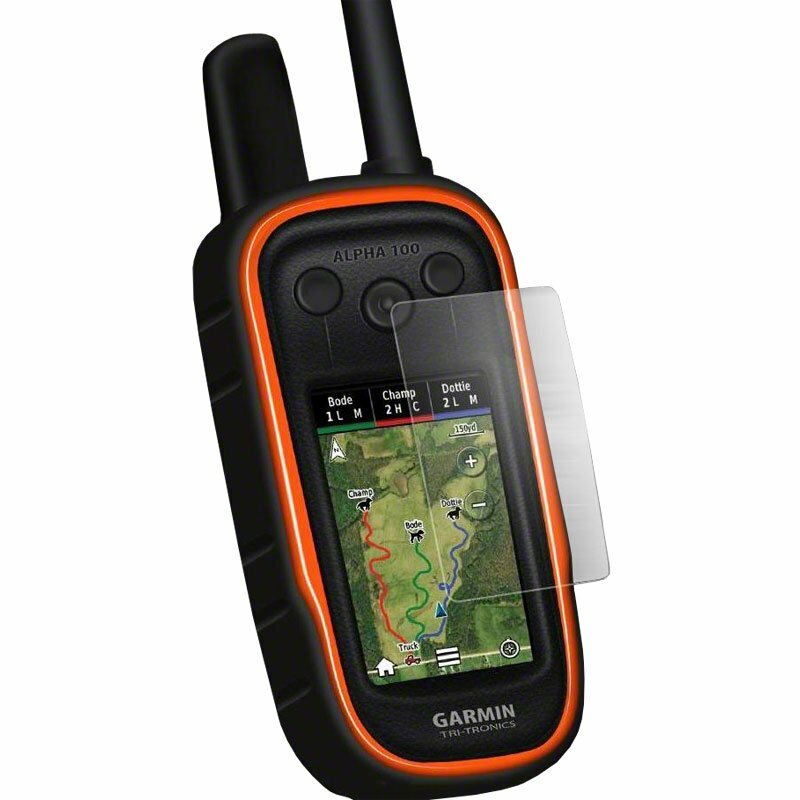 You've invested in great GPS tracking technology -- now make sure your investment is protected! 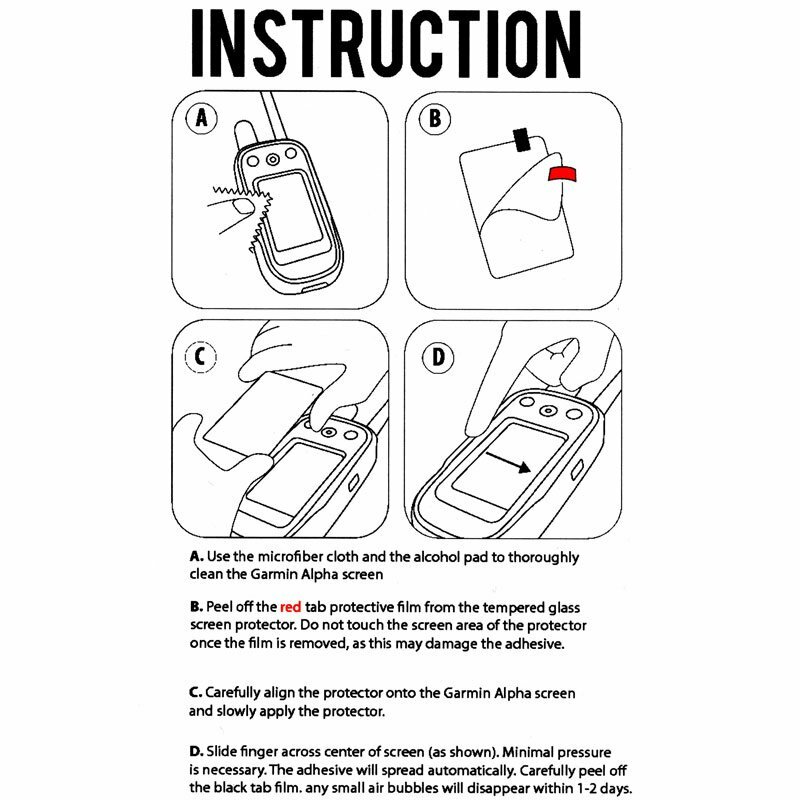 The Explosion Proof Tempered Glass Screen Shield installs directly over your Garmin Alpha screen and takes only seconds to install. It is specially designed to fit perfectly and protect your Alpha's sensitive TFT touchscreen from damage. Manufactured with high quality 0.3 mm tempered glass and chemically treated with a hi-tech Oleophobic coating, this screen protector offers extreme durability, shock absorbancy, and scratch prevention. It also provides fingerprint resistance, moisture protection, full transparency, and an ultra-slim design. 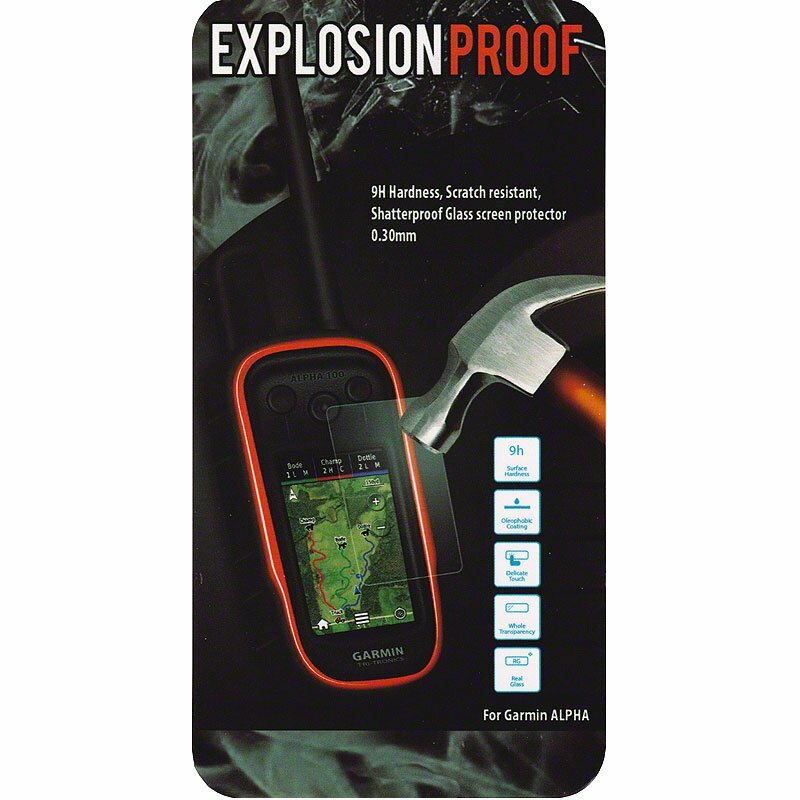 The back side of the Explosion Proof Shield features a special adhesive for easy installation without bubbles, and a firm, durable hold; yet it can be removed without damaging your Alpha's screen. NOTE: As this is a glass product, the edges of the glass are its most vulnerable areas. We recommend combining the Explosion Proof Shield with an Alpha Protective Cover to help protect it from chipping or cracking.